Beware, it's addictive! Bubble Shooter is the most popular game with simple rules and great strategies now for your mobile phone. 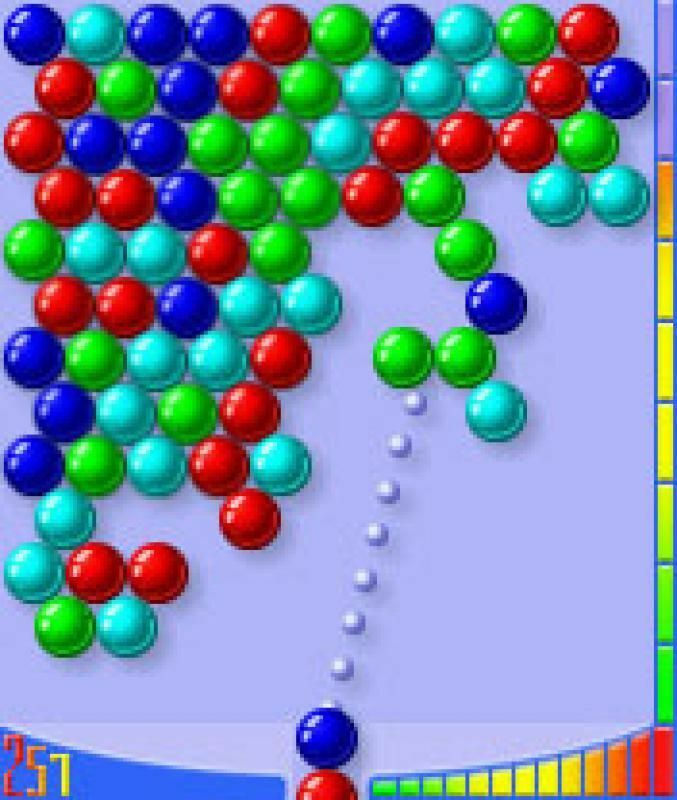 The goal is to explode all the bubbles before they overflow the board. Various skill levels differ by the number of shots that you are allowed to fire without success. There can be no draw in this game, either you clean all the bubbles off, or they move all the way down on you.